Mind Lab Pro vs. Piracetol demonstrates two different marketing approaches to selling an “all natural” nootropic brain health supplement. Mind Lab Pro takes the more straightforward “Hell yea I’m natural” approach, whereas Piracetol seeks the “alternative” route. More specifically: the “smart drug alternative” route. And even more specifically than that: the “alternative to smart drug alternatives” route. Given that many nootropic enthusiasts view piracetam as a much, much weaker substitute to, say, Adderall and other popular “smart drugs”, it seems a little beyond the point for Piracetol to offer an alternative to piracetam. But, hey, I’ve seen great results stem from bad ideas. So, is Mind Lab Pro about to be bested by a pretty bad idea? Let’s read the comparison review to find out. 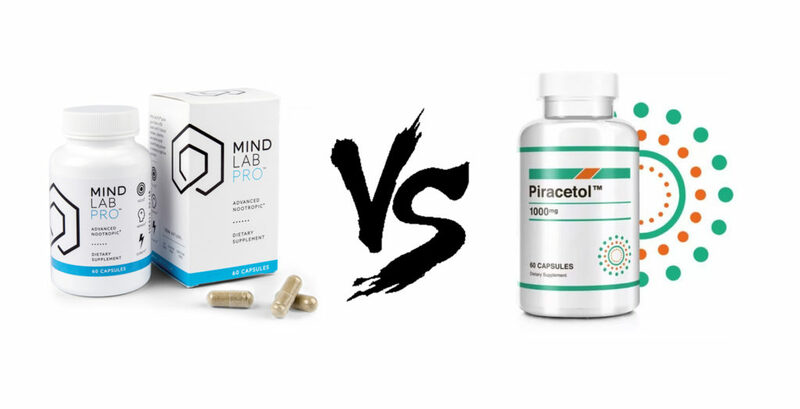 Mind Lab Pro vs. Piracetol: Which is better? If you want your nootropic stack to work, you need to choose the right ingredients. However, if you want your nootropic stack to work very, very well, you also need to ensure that your formula design is on point. Essentially, what that means is that your formula uses correct dosages, ingredient forms, clean additives …so on and so forth. You’ll notice there are more ingredients than there are brain bio-benefits. Ehem, yes, very attentive you are. Here’s how that essentially works: synergy. By using a diverse mix of well-researched nootropics, Mind Lab Pro seems to target the basic brain bio-pathways towards better cognition via multiple angles. E.g., Mind Lab Pro’s citicoline supplies choline for acetylcholine synthesis, whereas Bacopa monnieri helps prevent acetylcholine breakdown. Together, these two noots improve the brain’s cholinergic status via two separate pathways, and BOOM! — there you have it: synergy. Because Mind Lab Pro avoids synthetics and stimulants — e.g., caffeine — some of the more extreme-O smart drug users may be disappointed by Mind Lab Pro’s bio-benefits. However, I found Mind Lab Pro’s nootropics to complement the stimulatory effects of more intense brain boosters. For the average nootropic enthusiast, Mind Lab Pro is a great synergistic stack to take with your daily coffee. Read my in-depth review on Mind Lab Pro. Don’t pour the coffee on your Mind Lab Pro pills. It doesn’t work that way. So… hm… Obviously, I’m here to discuss Piracetol’s formula design, yet my first critical point on this stack relates to its advertised premise: a safe alternative to piracetam. 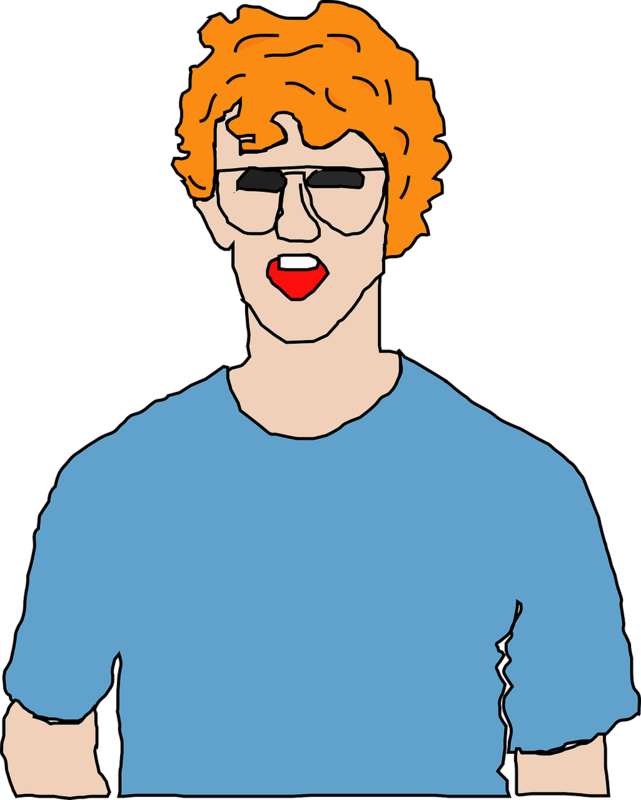 I get this insomuch that some nootropic users may prefer to keep their brain boosting diet free from synthetics and smart drugs. And if a supplement comes along that supplies a legitimate alternative to racetams, then sure: that sounds groovy. But here’s the thing: piracetam is an overwhelmingly safe nootropic. And even safety aside, Piracetol’s formula doesn’t really make sense as a piracetam alternative anyways. Perhaps the Bacopa and Huperzine-A combo has enough cholinergic action to sufficiently substitute piracetam’s cholinergic benefits, but that’s pure speculation on my part. Nothing in Piracetol’s formula has been found in clinical research to be on par with piracetam, or any other racetam for that matter. And I point that out because Piracetol even labels itself as a “Proven Alternative” to piracetam. At best, Piracetol is a weak Alpha BRAIN knockoff with maybe just enough potential to improve your brain choline status. But if I’m looking to replace piracetam, I’m not looking here. Read my in-depth review on Piracetol. Between Mind Lab Pro vs. Piracetol, there’s a little bit of overlap in terms of shared nootropics, including: Bacopa Monnieri, L-Tyrosine, and L-Theanine. However, you’ll find these ingredients listed as “Unique Features” on Mind Lab Pro’s side in this section, seeing that Mind Lab Pro supplies these ingredients in better quality formats than Piracetol. B Vitamins (as BioGenesis™) – B6, B9, and B12 — presented in premium BioGenesis™ brand form for better mood balance and cerebral circulation. More on B Vitamins. Citicoline (as Cognizin®) – My preferred nootropic choline source, citicoline not only supplies choline but cytidine as well, which converts to brain-energizing uridine. Not too shabby, Mind Lab Pro. More on Citicoline. Bacopa Monnieri Extract – Best known for its memory benefits, Bacopa is a popular herbal adaptogen among students. Mind Lab Pro supplies a unique “full spectrum” extract of this powerful nootropic. More on Bacopa Monnieri. Lion’s Mane Mushroom – Mind Lab Pro goes the full spectrum route here as well. As a nootropic, Lion’s Mane holds significant neuroregenerative potential for better long-term cognition. More on Lion’s Mane. Phosphatidylserine (as Sharp-PS® Green) – A key phospholipid, essential to neuron membrane structure, as well as cell-to-cell communication in the brain. The Sharp-PS® brand goes for the cleaner sunflower-derived PS rather than your usual soy-derived stuff. More on Phosphatidylserine. N-Acetyl L-Tyrosine – Piracetol has your standard L-tyrosine, whereas Mind Lab Pro goes with the more bio-active N-Acetyl L-Tyrosine format. More on L-Tyrosine. L-Theanine (as Suntheanine®) – L-theanine is an awesome amino nootropic in its standard form, but Mind Lab Pro takes it even further by investing in the Suntheanine® L-theanine brand. Great for calm, creative thinking, thanks to L-theanine’s boost on alpha brainwaves. More on L-Theanine. Rhodiola Rosea Extract – Both a physical and mental performance enhancer, Rhodiola is an incredible herbal adaptogen that seems to work by reducing stress hormone damage and the negative effects of fatigue. More on Rhodiola Rosea. Maritime Pine Bark Extract – One of the newer additions to the Mind Lab Pro formula, maritime pine bark extract delivers a rich supply of antioxidants, which seem to have neuroprotective and neuroregenerative advantages. Cat’s Claw – Not the best Cat’s Claw on the 2018 nootropic market (that title likely belongs to Alpha BRAIN) but it is relatively unique to Piracetol in this comparison review. Oat Straw Extract – Similar to L-theanine, oat straw seems to boost calm focus by promoting alpha brainwaves — albeit in short bursts. More on Oat Straw. Alpha GPC – While I prefer citicoline, alpha GPC is still an awesome cholinergic nootropic, supplying more choline per serving than other nootropic choline donors. More on Alpha GPC. Huperzine-A – This semi-synthetic nootropic boosts brainpower by inhibiting acetylcholinesterase, the enzyme responsible for acetylcholine breakdown. More on Huperzine-A. Resveratrol and Pterostilbene – Two great antioxidant polyphenols, although pterostilbene is better (and depressingly underdosed in this formula). More on Pterostilbene. My main issue with Piracetol: poor quality ingredients. Strictly in terms of ingredient choices, Piracetol has a pretty decent formula. Yet, Piracetol’s manufacturers did what many cheap manufacturers do: they sacrificed potency and quality for profit, likely hoping that the name of the nootropics would sell themselves. Maybe during the days before the Nootropic Geek (that’s MF me, my doods!) that trick might fly. But that’s why I’m here: to set the record straight. And it isn’t simply that Piracetol has poor quality ingredients as compared to Mind Lab Pro. And it isn’t simply that Mind Lab Pro has awesome quality ingredients as compared to Piracetol. Individually, Piracetol has very weak quality ingredients, opting for cheap herbal powders over the extract stuff, whereas Mind Lab Pro stacks premium nootropic brands, full spectrum extracts, and highly absorbable compounds. Really, there’s no competition between these two in this round. Mind Lab Pro has great potency and quality. Piracetol does not… Moving onward. Both Mind Lab Pro and Piracetol offer various order options at various price per serving values. For example, Mind Lab Pro has a 3 Bottles + 1 Bottle Free pricing option at $195 for $1.63 per serving (+ free shipping). Impressively, Piracetol has a 3 Bottles + 3 Bottles Free for $149.99, simplifying to $0.83 per serving. Having said that, the Piracetol website (where you buy Piracetol) is somewhat sketchy, so order at your own risk. Mind Lab Pro has better quality, quantity, and bio-diversity. Mind Lab Pro outperforms Piracetol on several (if not all) measures: better quality nootropics, denser dosages per serving, wider diversity of bio-benefits… better pizza, Papa John’s. If you’re in the business for a nootropic supplement that raises the bar across the board — that is to say, a brain booster that boosts the entire brain — then Mind Lab Pro has your brain’s back. This stack doesn’t leave much to be desired. As far as I can see, the only benefit of supplementing Piracetol over Mind Lab Pro is that Piracetol is generally cheaper than Mind Lab Pro. Especially if you go for that 3 Bottles + 3 Free Bottles price (which, if you really think about it, is actually 6 Bottles for a cheap price). Even so, let’s say you simply like Piracetol’s ingredient choices over Mind Lab Pro. Under this scenario, I’d still recommend not taking Piracetol — instead, look for a similar supplement (there’s quite a bit of them) that offers more or less the same ingredients in better quality formats. Between Mind Lab Pro vs. Piracetol, it’s an easy judgment call. I’m going for the one that not only stacks awesome, popular nootropics but delivers them in a formula design that actually works. Which is to say I’m going for Mind Lab Pro. As I stated several times, Piracetol does have decent nootropics. Had the manufacturers actually put in the necessary effort, Piracetol would likely be one of the top dogg nootropic stacks. After all, it has many of the nootropics found in other successful brain health supplements. But the manufacturers seemed to have gotten greedy — or, more likely, they started out greedy, shelling out a bunko product that sounds just good enough on paper to generate decent profits. Rather than supplying an awesome product that not only works but earns the big bucks it receives. Such as my homie Mind Lab Pro!